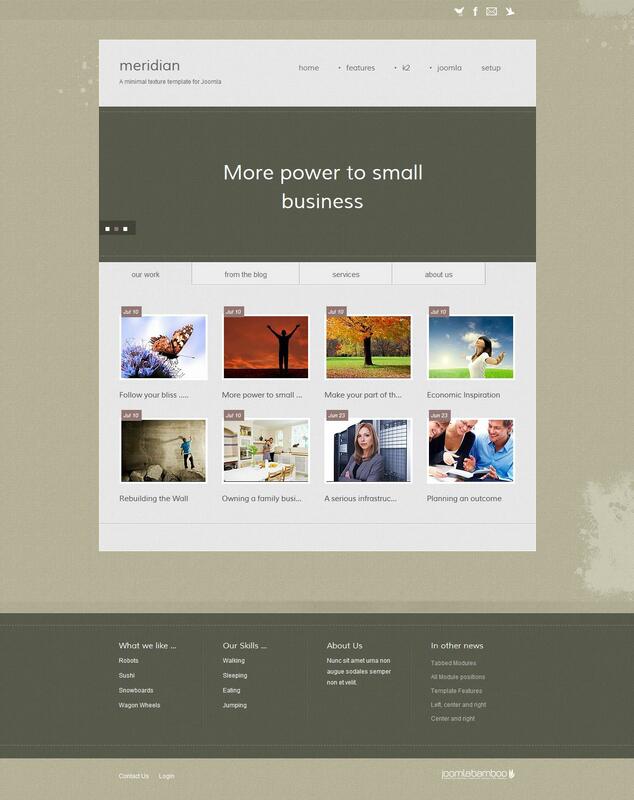 JB Meridian - template with slim and stylish business theme structure of the design studio JoomlaBambooo. Gorgeous design template is perfect for company websites. This template comes with styles for K2, and an array of colors that are perfect for Earth theme, eco friendly business websites. Has adapted to social networks, the layout template is divided into 49 module positions.